Kenya's President Uhuru Kenyatta is among a host of African leaders who have been invited to this year’s G-20 Summit, highlighting the growing role of the continent of global development decision-making fora. The feat was the highlight of the African segment session at the G7 Summit meeting, which ended at the Sicilian town of Taormina in Italy Saturday. It was attended by leaders from the continent. President Kenyatta, who spoke during the closed door meeting with leaders of the world’s most developed democracies at the San Domenico Palace Hotel, later told Kenyan journalists that the G7 countries will start listening to the African voice on global threats and development agenda. 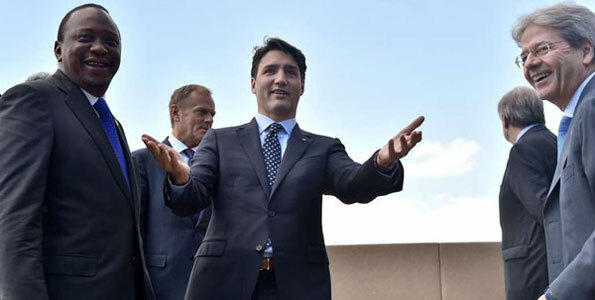 "One of the key things to have come out of this summit and which was emphasised by the Canadians, the French and the Germans was that it is time to start listening to Africa on issues that threaten the world and the development agenda," he said at the Villa Saint Andrea Hotel shortly before flying back to Kenya in the afternoon. 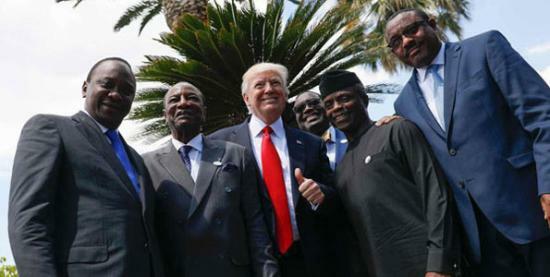 President Kenyatta, who was an invitee to the G7 Summit alongside his colleagues from Nigeria, Ethiopia and Tunisia, said Presidents Donald Trump (US), Emmanuel Macron (France), Germany Chancellor Angela Merkel and Prime Ministers Theresa May (UK), Paolo Gentiloni (Italy), Justin Trudeau (Canada) and Shinzo Abe (Japan) promised to stop ‘talking down’ to the continent’s leaders on global issues. "They are in agreement that it is time to stop talking down to Africa and start taking the continent positively. "It means we will sit, talk and deliberate on issues. Africa is going to step forward to discuss and be part of the solutions to global challenges. "We will sit with them and make our contribution not as dependents but as partners with them," he said as he briefed the media on the session with the G7 leaders. If respected by the G7 member countries and taken up by other developed nations, it will mark a radical departure in the relations between the developed north and developing south, which have hitherto been marked with conditions and lectures on the best way to govern and stir growth. One of the reasons, President Kenyatta said, was the key role that African countries have played in the fight against terrorism. He explained that sharing of information between super powers and the continent has seen various attempted attacks thwarted.